Abhayjett Singh Sachal & Sukhmeet Sungh Sachal In July 2016, Abhayjeet Singh Sachal traveled to the Arctic through the Students on Ice Foundation. His brother, Sukhmeet Singh Sachal, spent six months in 2017 living with Inuvik, NWT, 300 km above the Artic Circle. Their experiences galvanized a vision for walking with youth in Northern communities, which responded to the mental health, social stigmatization, and rates of suicide that impact these new friends. They created Break The Divide – a network committed to connecting students and creating change in their lives and their communities. 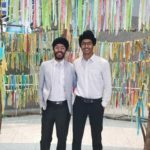 These brothers bring a message that is shaped by their values as members of the Sikh community, and that is a gift to those who have an opportunity to engage with them. Jasen Frelot is the founder and director of Kids & Race. 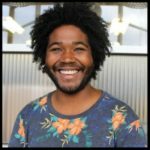 Jasen is a community organizer, father, early childhood educator, and social justice advocate based in Seattle. Over the past three years, he has made Kids & Race a full time job. Having been featured in Parent Map Magazine and on NPR’s Seattle affiliate KUOW, the program has served over 2000 people to date, and rising every month. His various actions around race and social justice have made front page news in Seattle and have been featured on the local news on numerous occasions. He has 15 years of experience working with children in various capacities. Wanda Gregory, PhD teaches courses in media studies and interactive media design. She was founding director of the Center for Serious Play and has worked extensively in the media industry for such companies as Corbis Corporation, Sierra Online, Wizards of the Coast, Hasbro, Xbox Live, along with several game start ups. Dr. Gregory has a M.B.A. from the University of Washington Foster School of Business, a M.A. in Communications from the University of Washington and a PhD from University College Dublin where her research was situated at the intersection of games studies, education, and medical informatics. She has served as an advisor and on the board of trustees for organizations including: Cornish School of the Arts, On the Boards, Powerful Voices and Reel Girls. She is a formative advisor for several technology and educational startups. Michael Reid Trice, PhD is a dad, husband, friend and colleague. He spends as much time as he can with his family. He has published and presented nationally and internationally in the field of religion for a good long while. He serves on numerous boards, is currently Secretary of the Parliament of the World’s Religions, and is an Associate Professor in the glorious Pacific Northwest. Elder Ray Williams carries the name – Squi qui – which follows from mother’s mother, and dates back through his Coast Salish bloodline into time immemorial. He also carries the Sa’atil name, from his father’s father and covers him in his travels, also Coast Salish. Ray considers it his good fortune that his elders continue to teach, advise and instruct him in the ways of his culture and ceremonial lifeways, and also support his efforts to serve as a bridge toward healing amongst all Peoples. Ray has served as a board member of The Seventh Generation Fund, which is dedicated to promoting and maintaining the uniqueness of Native peoples and the sovereignty of tribal Nations. His work in this area was recognized through an International Peace Award from Pax Christi in 1993. A Swinomish elder of the Coastal Salish, Ray spent years serving as a bridge between people of seemingly disparate spiritual paths. 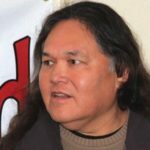 He served on the Swinomish Tribal Council and is an active member of the traditional longhouse ceremonies. Ray has participated in many ceremonies and conferences throughout the US and Canada, including Ancient Wisdom Rising 2012, and the Wisdom of the Elders Storytelling Festivals. – Lt. Col. Khallid Shabazz, Ph.D.
Chaplain Colonel Khalid Shabazz, PhD is the United States Army’s first division level Muslim chaplain in May, 2017. Shabbaz is one of only five Muslim chaplains in the U.S. Army. 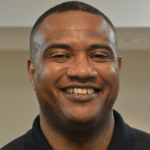 Shabazz brings 17 years of experience working with military adult learners that includes active duty soldiers, their spouses and family, and Department of Defense civilians, and more. Shabazz shares his inspiring and moving story of personal formation, and he asks us to seek the same deep awareness from others who we also require from ourselves. – Rev. Dr. Kelly Wadsworth Ph.D.
Rev. 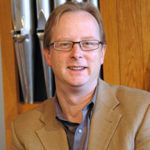 Kelly Wadsworth, PhD is an ordained minister in the Presbyterian Church and an engaging writer, speaker, and preacher. Her ministry has included a variety of contexts including parish ministry, hospital spiritual care, and military Chaplaincy. 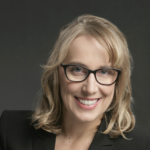 She serves on the Executive Board for Presbyterian Council for Chaplains and Military Personnel (PCCMP) and has been a guest lecturer at Seattle University, Bastyr University, and the University of Washington. 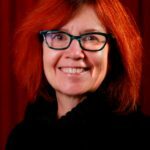 Her work has focused on religious encounter, spiritual growth, phenomenology and existentialism, the intersection of psychology and theology, plus the role of the church in the Pacific Northwest. Rev. Kelly is the organizing pastor for the West Seattle Contemplative Church in Seattle, WA. Rabbi Daniel Weiner is a Senior Rabbi at Temple De Hirsch Sinai, with two campuses and over 4,000 members. Rabbi Weiner believes passionately in building Judaism for the 21st century and in healing the world through social justice. 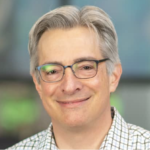 His innovations include producing “rabcasts” on video, bringing services to travelers and shut-ins on the Internet and leading a rock band in popular Rock Shabbat services. He tweets @rocknrabbidanny. Rabbi Weiner and his team won the Religion Action Center’s Fain Award for their campaign on gun responsibility. His efforts with other clergy contributed to the founding of the Washington Alliance for Gun Responsibility, which drafted and helped pass Washington State Initiative 594 in 2014. Rabbi Weiner’s work on implementation of the law and about gun responsibility continues.